AdStage uses Gravatar, a company that hosts globally recognized avatars, to add a profile image. Create a Gravatar profile and update your photo, and then when you participate in any Gravatar-enabled site, your Gravatar image will automatically follow you there. Step 1: Simply create a new Gravatar account or use a current account with your favorite picture. 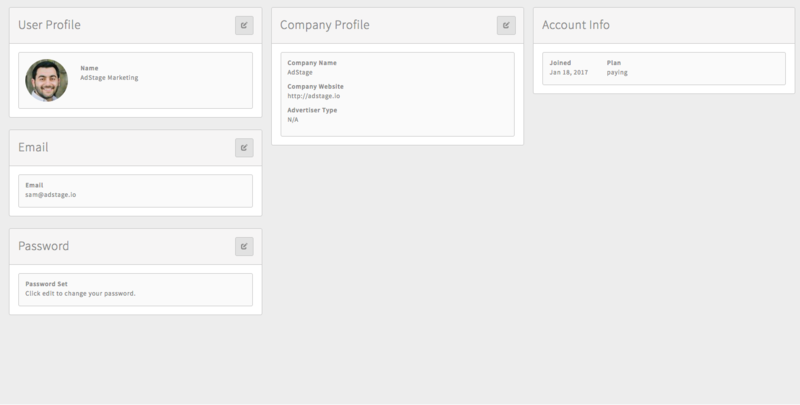 Step 2: Then, make sure your Gravatar email matches your AdStage email for your profile. That's it!